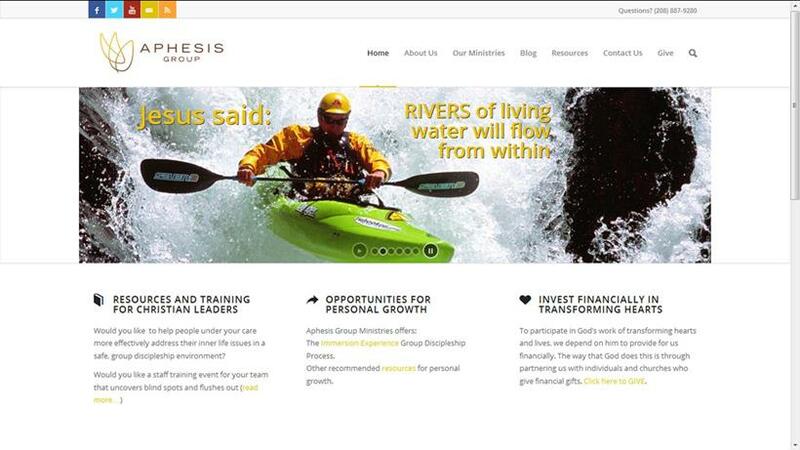 AphesisGroup.org was designed to better represent our organization and reflect who we are to the world. It is our hope and prayer that this will make us more accessible to people wanting biblical resources to address relational issues through inner life healing. The new website features short blog posts updated weekly by authentic people about real life, and a God that is real. Please share these with friends as a way to provide them encouragement and insight. We will continue to use ImmersionExperience.org for information specific to our 22-lesson discipleship process but now we have a comprehensive organizational site as well. This March an Aphesis team went to East Asia to train Christian leaders in how to lead The Immersion Experience discipleship process. It was a fantastic trip! It was especially rewarding to see five nationals, who were previously trained, take ownership of moving the ministry forward by leading some of the training sessions. Dave Bochman commented, “Several times during the training events, those of us from the U.S. would look at each other and say ‘They are ready! 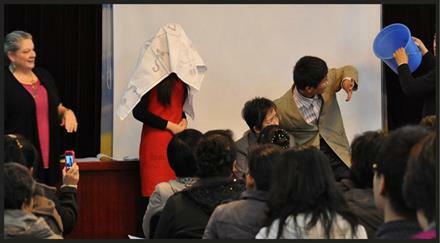 '” The Aphesis team led 4 training events in two major cities. In each location, the venues were packed to capacity. Dave also made a side-trip to another major East Asian city where believers are using “business as missions” strategies integrated with church planting efforts as they actively spread the gospel to 60+ unreached cities, all the way through Central Asia and the Middle East. Dave had several meetings there with key ministry leaders and local church leaders, who are hungry for in-depth discipleship training and have already been hearing about The Immersion Experience from others. Plans are underway for a full training in this new city within the next year. Pray for God’s continued work in liberating hearts in this special part of the world where they face a constant struggle with the issues of shame, perfectionism and performance. Since January, we have visited Alaska two times to work with leaders who minister in a more challenging environment than you could imagine. A recent in-depth piece by John D. Sutter of CNN captures the extreme situations that occur in these remote communities of Alaska that are only accessible by small aircraft. In many of these communities, the rates of alcoholism, abuse and neglect are more than three times higher than anywhere else in the U.S. The family structure, as most of us know it, is rare or non-existent. 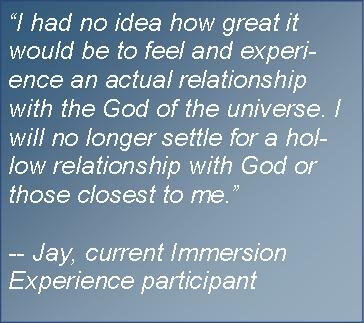 We are partnered with local clergy and Covenant Youth of Alaska (CYAK) to introduce biblical healing through The Immersion Experience small group discipleship process. There are literally thousands who are trying to find and understand God in the midst of a life filled with tragedy. The leaders we are working with are filled with great enthusiasm because they have found a biblically sound, repeatable process to pour into people’s lives that effectively addresses the inner lives of those to whom they minister. God is moving in amazing ways, reshaping the lives of over 100 people who started in January groups, including six teens participating in our pilot Teen Immersion Experience. In addition, we’ve already had more than 100 U.S. / Canadian participants in Weekend Immersion Experiences in 2014, most of which are now trained facilitators. While it isn’t easy work for the participants to open up their hearts and be vulnerable in new ways, God’s results are truly amazing: massive liberation, peace, joy and healthier relationships. Pray with us for His touch on the hearts and lives of all those finishing groups in the next few weeks. more loved than we know, more compromised than we know, and more rescued than we know. It’s delightfully surprising to find new richness in this familiar story that so colorfully reflects the message of the gospel. It will make you fall more in love with God. The chapters are broken up into easily digestible segments, which make it ideal for small group discussions or self-reflection. This book is a treasure and a blessing for both new believers and old. You can find it on Amazon for under 10 bucks. 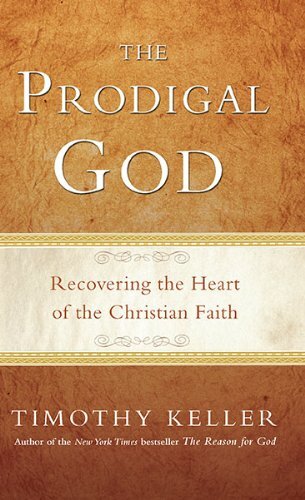 “The insights Tim Keller has about the two individuals in the story, and about the heart of the God who loves them both, wrecked me afresh. Tim’s thoughts deserve a hearing worldwide.” -Bill Hybels, Willow Creek Community Church. Aphesis Group Ministries is now partnered with Lasting Legacy Service™ to provide donors new and creative opportunities to maximize stewardship decisions. If you have wondered about gifting assets like stocks, real estate, life insurance or any other non-cash item, we can connect you with trustworthy Christian professionals to help you explore your options. To watch a short video and learn more, visit our website: (AphesisGroup.org “GIVE”) or contact our office at 208-887-9280. Let us help you maximize your giving power!